in today´s entry we want to take you with us through the pilgrimage route camino de santiago, but in a different way than the traditional pilgrimage by foot. ever heard about the camino de santiago (also known by the english names way of st. james, st. james’s way, st. james’s path, st. james’s trail, route of santiago de compostela or road to santiago)? well we are sure that you did but just in case that you didn´t, let us present you what the camino de santiago exactly is. 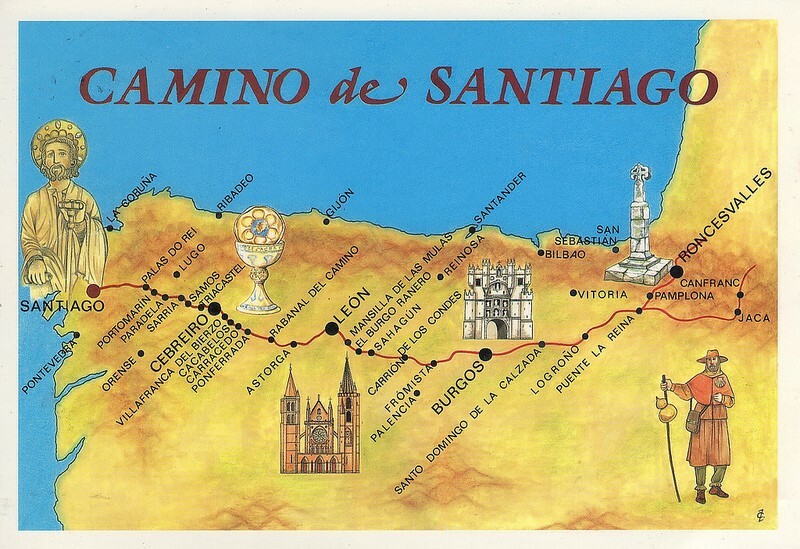 the camino de santiago is the name of any of the pilgrimage routes to the shrine of the apostle st. james the great (santiago el mayor) in the cathedral of santiago de compostela in galicia in northwestern spain, where tradition has it that the remains of the saint are buried. many take up this route as a form of spiritual path or retreat, for their spiritual growth. after his martydrom in jerusalem the remains of the james the great, were moved by a see route through the rio ulla to iria flavia (padrón) and then overland to santiago de compostela. the entire itinary is marked by a spectacle of an unforgettable river cruise. use a different way than walking down the pilgrimage route to arrive to santiago de compostela. sail on a cruiser along some islands and experience a new way of pilgrimage. 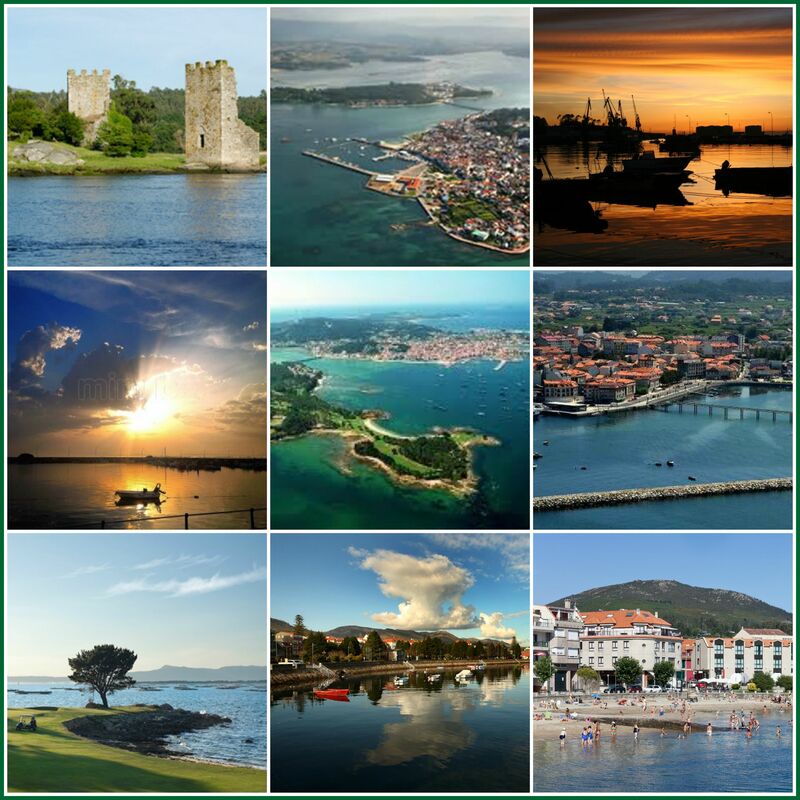 as mentioned before, the route starts at the entrance to the estuary of arousa, heading to the island of onza and ons, the o grove península, the island of la toja, the de arousa, pobra do caramiñal, cambados, vilagarcia, the west towers of the time if archbishop xelmirez and heading finally to the confluence of rivers sar and ulla. the route with his spectacular views will be a new experience for any visitor and will fascinate him at the same time. 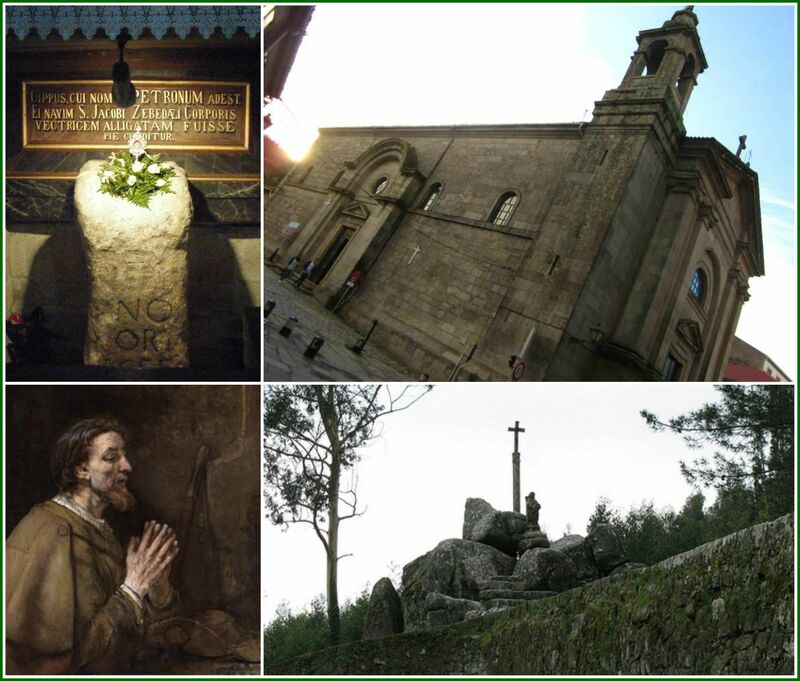 in the santiago de padrón church you will find the o pedron, which, according to tradition, is the stone where they tied the boat in which the apostle came to galicia. at the foot of this town, in santiaguiño do monte arises the promontory where st. james the great preached. a historical tour and the local cuisine, which is characterized by the seafood (marisco), are part of the essence of this singular and incentive pilgrim. at the end of the trip each traveller will get a certification as a prove that you participated in the river cruise. a prove that shows that you sailed through the waters of the sea of arosa and the ulla river that centuries ago the body of the apostel st. james the great was sailing through reminding the first route of pilgrimage to santiago de compostela. a prove that you revived the history and can attest the experience of the knwowing places during the trip. boat equipped to sail through the sea and the river + mooring in port + fuel + insurance + cleaning service + maridaje de mariscos (taste seafood) + and various local products accompanied by a fantastic albariño will be tasted while sailing back the ulla river. when we scanned our blogpost archives we realized that we do not have any posts about portugal yet nor have any suggestions for you as to what to explore and see there. Therefore, we decided to write this week´s post based on a day trip in portugal. 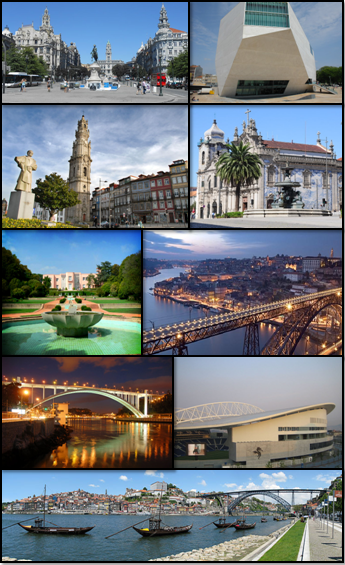 so just let me take you to a trip starting in oporto (also known as porto). but before we will start the trip, here is a short overview about the city. oporto located along the douro river estuary in northern portugal, is a registered unesco world heritage site in 1996. the city’s actual name is porto, but when preceded by a definite article ‘o’ in portuguese meaning ‘the’ in english, it is written as ‘o porto’ meaning ‘the port’ in english. being the second-largest portuguese city after lisbon, oporto is also one of the most prominent urban areas in southern europe. its rich history which dates back to many centuries enriches its cultural wealth as the city is one of the oldest european centers. varied historical monuments including the cathedral with its romanesque choir, neoclassical stock exchange and the typical portuguese manueline-style church of santa clara depict cultural richness. since ever oporto’s shipbuilding industry is growing and growing. its ports have been responsible for the production and export of the fortified wine to great extents. ‘port wine’, a gift to the world is named after the city of oporto. individual atmosphere and take advantage of the guide. the source of the river is in spain, 200 km from where it spillst out into the atlantic in oporto. yet the douro valley in northern portugal between mesão frio and pinhão, where the vineyards precariously cling to the steep terraces on either side, of the river is the most beautiful part with one of the most beautiful wine regions worldwide and one of the best ways to full appreciate to travel through it by river cruise. the landscape looks like a giant’s steps and the views are truly majestic. this is where port wines are produced in historic quintas (wine estates), and the region is a magnet for wine collectors as portugal’s most famous cult wines are made here from barca velha to quinta do noval. 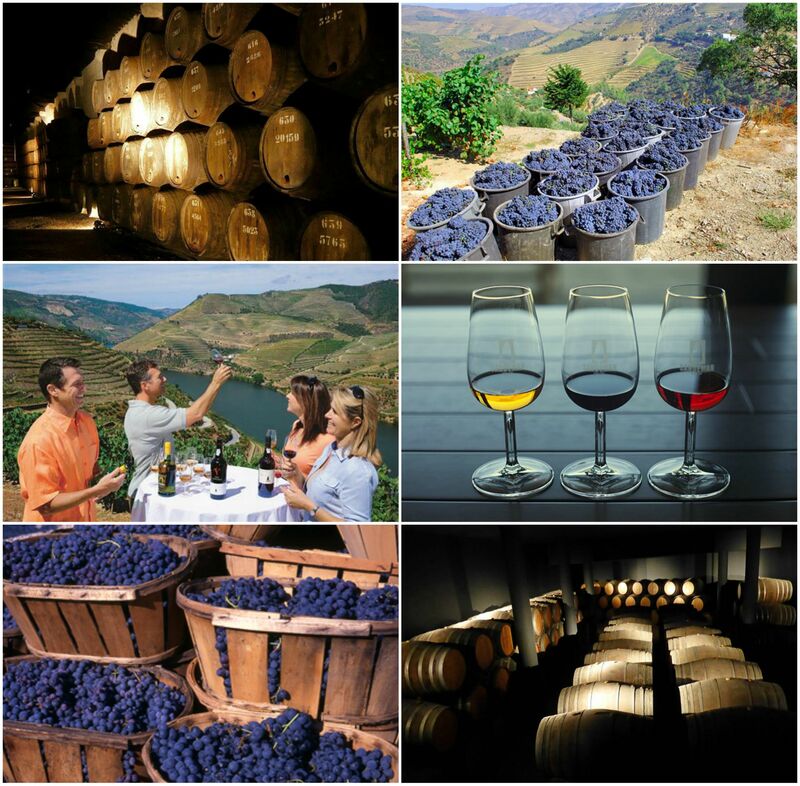 during the day trip you also will make a stop and visit one or more (depend on the touroperator) of these boutique cellars (enjoying a private tour and wine tasting) and have lunch or dine in a traditional portuguese restaurant. 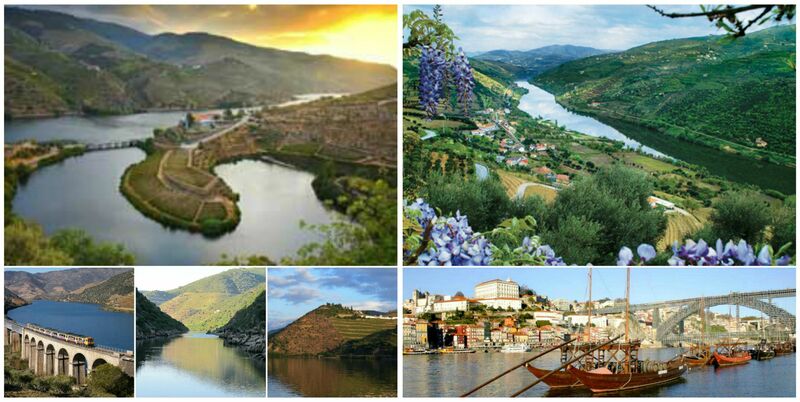 the trip is a must-do for all the people who enjoy the different tastes of wines or just want to spend a romantic day with their lover on a cruiser, enjoying the view and try the best portuguese wines. “bring me that horzion” said once captain jack sparrow while watching over the ocean up to the horizon and enjoying the unbelievable view he got. regarding to this we did a short research about hotels possessing an infinity pool. an infinity pool is a swimming or reflecting pool that produces a visual effect of water extending to the horizon, vanishing, or extending to “infinity”. an incredible moment for the “tricked” guest seeing the water not having an end, flowing in an ocean or floating in the air. a lot of luxurious hotels already have these pools and more are acquiring to get one as this pools are getting more and more popular among the clients. enjoy this pool in the south of the island. the pool is surrounded by the dunes of maspalomas, giving you the illusion that the water ends in a nowhere. in a pine forest hidden hotel located on a 180 meter high cliff, which is perfectly integrated in natura. they have 8 pools filled with seawater linked with the “cascadas suspendidads”. through this waterfalls the water flows like an endless cascada towards the sea. surrounded by a big garden, this hotel is located in the south of tenerife. this infinity pool consists of saltwater. besides the water is heated so that the clients can enjoy also this pool in colder periods. overlooking the port of sóller, with a beautiful sunset. couples are welcome to enjoy this moment with a smalldrink.